After a long break I am excited to be back here on my blog and posting again…. Over the past 6 months I have been looking at moving to Portugal, and have spent a couple of months there. I wish to buy land, grow food, plant trees, have fun building healthy, functional and beautiful dwellings, and experiment with clean sources of energy. But most importantly, to create a space for people to come together, to support each other in letting go of our tired old stories of limitation. A place for exploring connection and intimacy between human beings, and also between humans and other living beings, the entire natural world of plants and elements, and the wider universe. A place for slowing down and observing, breathing, sensing, opening to life. With this slowing down, more space arises in which information and solutions can appear to our current challenges, whether in the practical realm of food and energy supply, or in the social and emotional realm of relationships, conflict, raising children etc. (Remember that most major inventions and leaps forward in knowledge come as strokes of insight, or intuitive knowing). This will be a place where each person’s priority is something bigger than the survival of their personality, with its addictions and its dramas and its clinging to the known and familiar. Where people are willing to keep letting go and trusting life, to be truthful and honest with themselves and others, even when this feels very challenging. A place where each person can pursue their interests and allow their creative potential to flourish without needing to compete or be in conflict with the interests of others. This will require us to be very alert and present with ourselves, in order to notice when we are behaving automatically, when we are acting out of a conditioned programme, or hiding some unpleasant aspect of ourselves in order to be liked. This is a journey of discovering more of who we are, and loving all the parts of ourselves that we discover. We can help each other by reflecting these parts to each other. We can make this a joyful and fun process. It certainly does not need to be serious and full of suffering. (You can go and join a religion if that’s your thing). A warm climate with plenty of sunshine, trees, fresh water, healthy food, harmonious and peaceful surroundings are all supportive of the process of disarming ourselves from our defensive patterns. 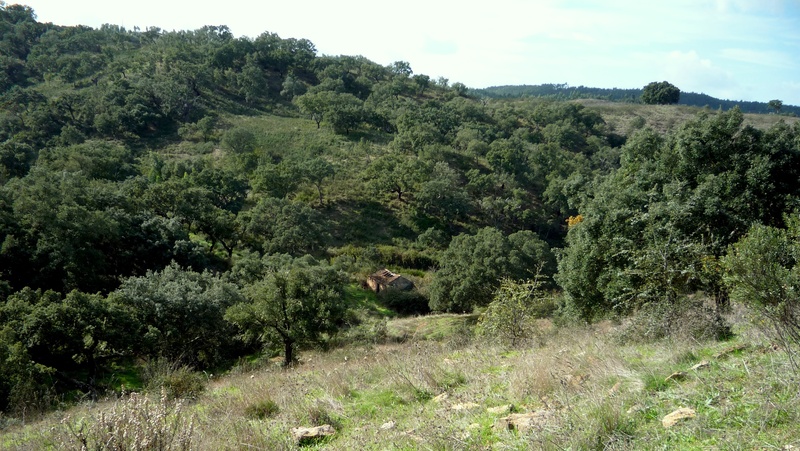 In Portugal there is an abundance of sunshine, and plenty of abandoned rural land where such a place can be created. I have also discovered that the Portuguese people are mostly open-hearted and welcoming. This vision has been growing in me for many years, and at times has almost manifested in different locations around the world. In my next post I will write about some of the people, places, and experiences that have inspired, nourished and supported me in this journey. And I will be writing in more detail about the project and my ideas for the various components of it over the coming weeks/months. It feels good to be posting this on the eve of the new year. As we move into 2012, I feel happy and excited to continue on this journey of discovery on planet earth, with an open heart. This entry was posted in announcements, body and mind, community, consciousness, environment, food and tagged awareness, community, portugal. Bookmark the permalink. Take care and good luck with your project in Portugal! Clare, reading this, i’m feeling more and more into your vision and story. I really like reading more of you, it feels like meeting more of that person i met when we melted for a moment in that last Skype chat. And i like what i read here. So cool to read this after meeting you and seeing you in a much further stadium of manifesting already. Love, Els.